Source: Christopher Clark, contributed by the author. Text: During the 1960s I often used to spend summer holidays with the Nadal family in Cadaques. My father and Angel Nadal collaborated at the time on the Buster comic strip: Dad wrote the storyboard and dialogue and posted the sketches to Angel who applied the artwork at a desk on the balcony of his apartment, fishing rod to hand. His eldest children, David and Ana were a little younger than me and had a large circle of friends whose families typically resided in Gerona or Barcelona for most of the year but escaped to the Costa Brava villages during the summer months. Talk between us kids was mostly about pop, heard intermittently over the radio: I taught them ‘A hard day’s night’ and the English words to ‘Amarillo el submarino es’ (Yellow Submarine). But we also talked about cinema. General Franco and the Church ensured that censorship remained tight. The Spanish children could sense that things were different and more exciting across the Pyrenees. A few years later this translated into queues at the border to see ‘Love Story’ while it was being shown in Perpignan. I was quizzed about the supposedly lurid details and caused them immense disappointment, and even more surprise, when I told them I hadn’t seen it and was not inclined to do so either. Cadaques is a very special place, isolated for decades by the surrounding mountains from the interior. Artists loved it: Dali had a house in neighbouring Port Lligat. Film makers loved it too and I remember witnessing a scene being shot that I was told included James Mason, though I only saw the large car that brought him there. Social life revolved around the beaches during the day and the bars and casino during the evening: dancing sardanas on Sundays. Children largely made their own entertainment, fishing, playing games of tag or going on late afternoon hikes up the mountain. Spanish TV in the 60s was uniformly dreadful, replete with overdubbed American and British movies from previous decades. So I was surprised one evening (in 1966 or 1968) when David and Ana said we were going to the cinema. They didn’t say which film: I was just curious about where the cinema might be. I have failed to remember exactly where it was but it was close to the imposing church and may have been in the church hall. The noise was unbelievable as we went in: a bare room, concrete floor and metal-legged chairs scraping or falling by the dozen as throngs of kids (I don’t recall seeing many adults present) joked, poked and generally misbehaved at the tops of their voices – illegally in Catalan. As soon as the lights were turned off and the projector warmed up the noise level dropped but then the fingers and occasional head silhouettes started to appear on the blank screen and the hubbub resumed. The film was Las Minas del Rey Salomon (King Solomon’s Mines, 1950) with Stewart Granger and Deborah Kerr. I’d pretended to read the book at school so didn’t really know the story but was cross that the Spanish couldn’t get the King’s name right. About ten minutes into the film the audience noise had subsided enough to be able to hear the dialogue, breathlessly dubbed in Spanish. Then the projector broke down, which it was prone to do regularly during that screening. The light went back on, the shouting and yelling resumed, this time levelled at the hapless projectionist. I honestly cannot remember a single scene from that film: all I can bring to mind is the audience behaviour and the sonorous bareness of the venue. That was the only time I went to the cinema in Cadaques. Several years later, just before and while studying Spanish at university, I went to several cinemas in Barcelona. The cinemas in central Barcelona were then, as you’d expect in a cosmopolitan centre, high class establishments and the experience was similar to an evening out in London or Paris. But out in the suburbs the experience could be closer to that evening in Cadaques. People came in and went out of the cinema when they felt like it: our group of about six lads arrived late for El Graduado (extensively cut, I later realised) and so we sat through part of the next showing to catch the opening scenes we’d missed. I decided I needed to see it again so took the bus down the hill to a small cinema next to Plaza Lesseps, which was more bar than cinema. 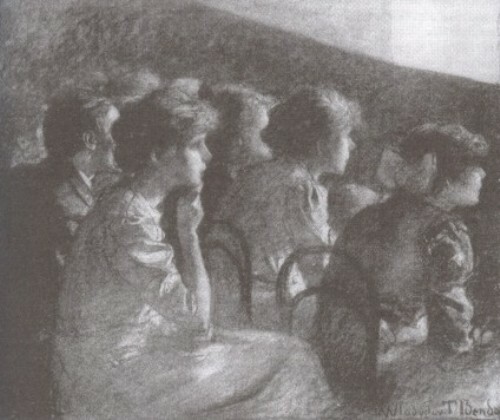 The film was shown in two parts, so after more booze the audience was even more prone to participate during the second part than in the first. I had to wait a couple more years before I could see it properly, in the original, uncut version, on the telly back home. Comments: Christopher Clark (born 1952) is a musician and former sound archivist at the British Library. His father was cartoonist and film animator Ron ‘Nobby’ Clark. He adds: “I’ve always enjoyed going to the cinema, ever since my Dad took me to the cartoons at Victoria Station to fill in time before our train departed. I knew from matinees in my home town of Horsham that a cinema full of kids was prone to occasional disturbances but in all my childhood years of half-term Disney first releases and westerns I can’t remember any noise above the occasional rustle of sweet papers intruding on the film’s progress. Spain was indeed different.” The films mentioned are Love Story (USA 1970), King’s Solomon’s Mines (USA 1950) and The Graduate (USA 1967). This entry was posted in 1960s, Contributions, Spain and tagged Barcelona, Cadaques, Children, Christopher Clark, Cinemas, Dialogue, King Solomon's Mines (1950), Love Story (1970), Mechanical failure, Misbehaviour, Noise, Projection, Screens, Seating, Talking, The Graduate (1967). Bookmark the permalink.